Individuals now have the opportunity to donate to the Brookings Arts Council as they shop online. AmazonSmile which is operated by Amazon.com has all of the same features as its classic shopping experience including products, prices and features; the only difference is that AmazonSmile allows shoppers to donate to their favorite charity. When patrons make purchases of eligible products through smile.amazon.com Amazon will automatically contribute 0.5% toward the organization. To donate, utilize the Brookings Arts Council’s unique link https://smile.amazon.com/ch/46-0335577. 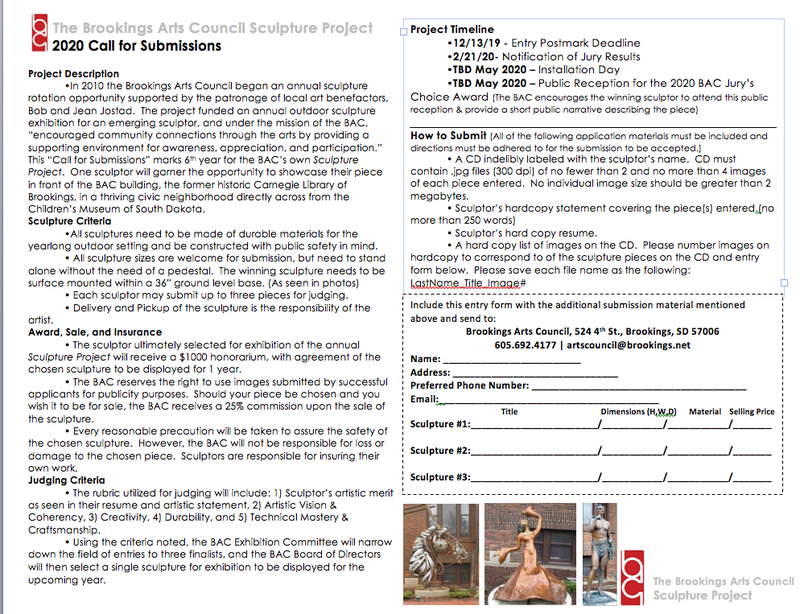 The Brookings Arts Council asks that you spread the word about this opportunity to others that may be interested and help make art happen in the Brookings community.